Guys, Most of the Men Are Scared Of Intelligent Women, You Must Know Why! This is the common psyche of men that intelligent women consider them stupid and will always put her point of view before theirs. Moreover, she doesn’t bother to ponder on their insights, rather she thinks that she is always right. Even though it is not true instead a smart woman knows it well that how to balance the things and also give value the suggestions of other but this thinking makes man alarmed, resultantly they avoid talking to them. Unfortunately, most of the men believe that they only bear the right to use all the powers and intelligence is only associated with them. This is fixed in their minds that only they can have all the exceptional skills and they don’t attribute women with anything. That is why, if they encounter with intelligent women they just overreact and try to emphasize their intelligence supremacy and fear them. “Men can only be the best decision makes”, it is a strong belief of our society. From ages, this is happening in our societies that men are wholly decision makers and we haven’t seen women taking part in any decisions which have made them arrogant and big headed. For the reason, when we talk about intelligent women then it brings insecurity and they scare that now they will question their verdicts which are against the manhood. Some of the men are still stuck in the middle ages and hold the strong conviction that women can’t be part of an insightful discussion but she can only be a good housekeeper. Women have nothing to do with intelligence and a profound conversation that why they ignore the presence of the women. Whenever they find women a good wisdom and knowledge they just not accept it and scared of them. So these are the some facts that tells why most of the men are scared of intelligent women what actually discomfort them in front of intelligent women. 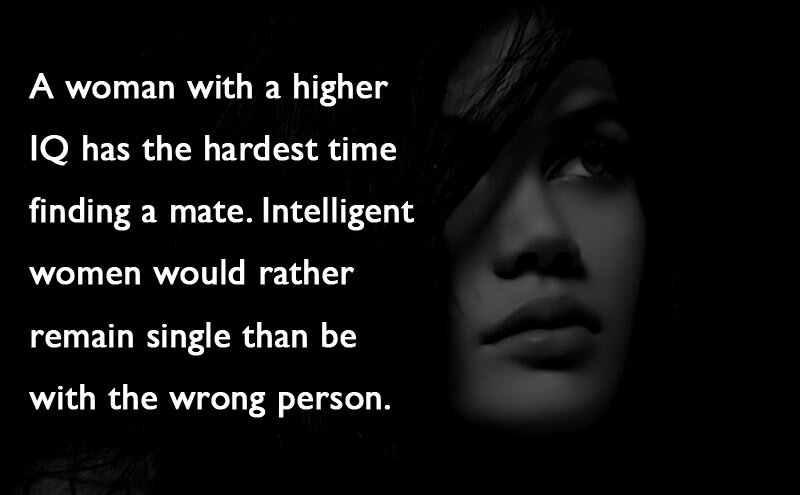 Instead, if men value and accept the intelligence of a women instead of avoiding them, they will find a resilient, profound, exiting and loving partner in them.